When CodeSite was first introduced, it immediately changed the way developers locate problems in their code. In subsequent releases, CodeSite was extended beyond the developer's workstation to become a full-featured application logging system. Today, CodeSite takes application logging and debugging to a new level by focusing on developer productivity, usability, logging capabilities, and deployment. The primary logging class that developers use is T|CodeSiteLogger. (TCodeSiteLogger in Delphi, CodeSiteLogger in .NET.) However, in most cases, developers do not have to manually construct an instance of the T|CodeSiteLogger class. Instead, the CodeSite logger instance can be used immediately. In the Delphi, CodeSite is a global instance of the TCodeSiteLogger class. In .NET, CodeSite is a static class that uses an internal CodeSiteLogger instance. Logging information simply involves calling methods of the T|CodeSiteLogger class. Most often, the overloaded Send method will be used. In its simplest form, a simple string message is sent. Other forms include sending numeric data types, dates and times, objects, collections, bitmaps, and much more. The primary logging method in T|CodeSiteLogger is named Send because it more accurately describes what happens to the information being logged. In particular, T|CodeSiteLogger instances send logging information to the CodeSite Dispatcher application, which runs in the background and is responsible for dispatching CodeSite logging messages to their final destination. There are two basic destinations for CodeSite messages: a CodeSite Live Viewer (see below); and a CodeSite Log File. However, these two destination types may reside either locally or on a remote machine. Plus, there are several ways for the CodeSite Dispatcher to transport messages to their final destination. 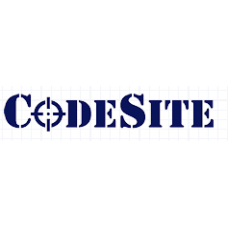 The location of the viewer or log file as well as the transport details to be used by the Dispatcher is contained in a T|CodeSiteDestination instance, which the CodeSite Dispatcher receives from each T|CodeSiteLogger instance. In addition to its dispatching responsibilities, the CodeSite Dispatcher also allows for dynamic blocking of selected CodeSite message types and even selected categories. Furthermore, the Dispatcher manages a list of symbolic paths that can be referenced by T|CodeSiteDestination objects. The CodeSite Logging System comes with two viewers: the CodeSite Live Viewer and the CodeSite File Viewer. Developers will most often use the CodeSite Live Viewer, which is updated immediately as new CodeSite logging messages are received from the CodeSite Dispatcher. As a result, the Live Viewer is required for live logging. 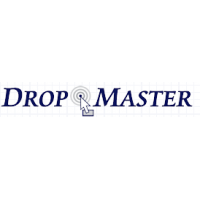 Add support for drag and drop between applications.DropMaster is a set of 4 native VCL controls for ..